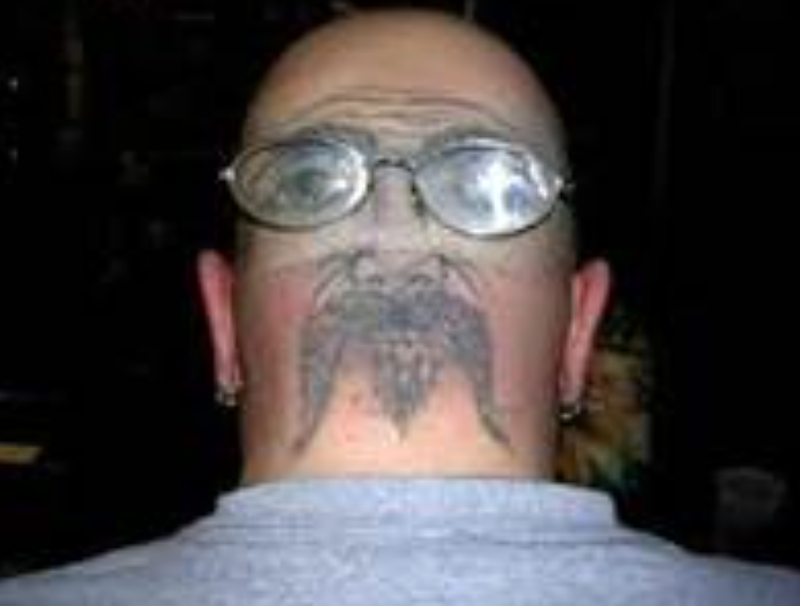 For years, my young son Joel thought I had an eye on the back of my head. Why? I told him so. To keep this mischief-making, dangerous pranking boy surviving beyond childhood, I kept alive the delusion of a third eye until he grew old enough to catch on to my trick. “God gave you a smart Mommy,” I declared. “I have to be ‘with it.’ Otherwise, you’d be dead!” And I meant every word. What does “With It” Mean? 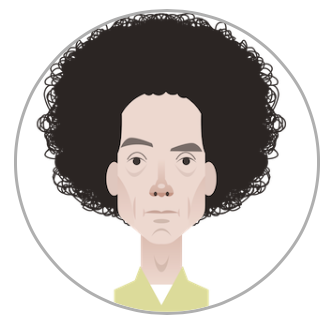 Malcolm Gladwell in “Most Likely to Succeed” from The New Yorker (Dec. 15, 2008) discusses the value of “withitness” in several fields: sports, education, and business. About teaching in particular, he notes: Educational researcher Jacob Kounin, used the term “withitness” to define that hard-to-pin-down quality of intuition and smarts which helps one sense the behaviors, intentions, and motivations of those around her/him and act accordingly. Perhaps no profession has taken the implications of the quarterback problem more seriously than the financial-advice field, and the experience of financial advisers is a useful guide to what could happen in teaching as well. There are no formal qualifications for entering the field except a college degree. Financial-services firms don’t look for only the best students, or require graduate degrees or specify a list of prerequisites. No one knows beforehand what makes a high-performing financial adviser different from a low-performing one, so the field throws the door wide open. In the last six months we’ve had the opportunity to rub shoulders with a few bankers, realtors, and multiple tradespeople who did home repairs or renovation during our move. Mr. Painter: His eyes surveyed the kitchen walls as he spoke, “I can do this in two hours and include your paint in the price. I’ll even leave some paint for touch-ups.” He fulfilled his promises. We were pleased. Ms. Realtor: “I’ll call you in two hours with an update.” She did and we felt confident. Mrs. Banker: “I’ll be right on it.” She wasn’t though, and we spent days and weeks feeling frustrated. Later, however, we found she was covering for the ineptitude of support people in the business. Mr. Realtor: “Look at my credentials! I have a 5-Star rating . . . yadayadayada . . . ! However, credentials don’t always translate into performance. We frequently had to prompt him to act in our favor. Why can’t he be “with-it”? we wondered. * We had lunch recently at Mimi’s restaurant. Our server Kristie performed perfectly without hovering. Before we left, she boxed up an un-eaten blueberry muffin and left-over dinner rolls in separate containers. Without prompting, she labeled each box. Item + Date + merci on the lid . . . certainly appropriate in a French restaurant á la New Orleans style. This server was definitely a “with it” woman! 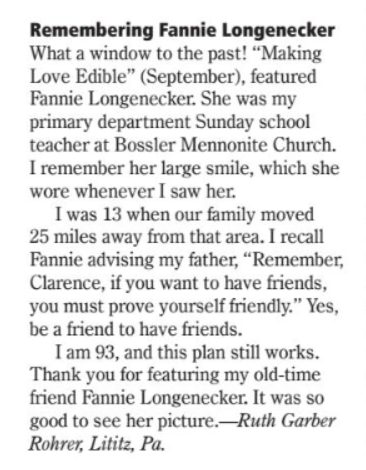 * Ruth Garber Rohrer, a 93-year-old subscriber to The Mennonite magazine, read my September 2016 article in tribute to my Grandma Fannie Longenecker printed in this post. Then I found Ruth’s editorial comment in the October issue. Serendipitously, I had discovered a link to my Grandma through one of her pupils in Sunday School at Bossler Mennonite Church, one I never knew existed. Ruth Garber Rohrer also has a presence on Facebook and socializes in the digital world. Ruth is “with it” indeed! * Keen perception through the senses: Seeing, hearing, “reading” a situation beyond mere facts. * Ability to evaluate situations and/or scan people’s expressions and connect with them personally in a significant way. * Ability to follow-through when action is needed. What is your definition of “With It”? What qualities would you add to the list? Did examples from your own life pop into your mind as you read this post. Here’s where to reveal the good, the bad, and the ugly or – the best! Good morning, Marian! This is an interesting post, and I love Cliff’s cartoon! Your server at the restaurant was really with it. I think now of our server recently at breakfast after the Lupus Walk this past weekend. He was very friendly and pleasant, but not exactly “with it.” He mixed up our coffees (which he then corrected), then had a problem with my husband’s bank card. We think he he typed in numbers incorrectly because we checked our account and my husband used the same card the next day without a problem. I think teachers who are “with it” stand out (and I include husband and daughter here), but they have to go through so many hoops these days with testing, standards, and forms that it makes it quite a challenge. It’s easy to tell if you have a good server or not – usually starting with the drinks order. Your husband and daughter must have kept one or two steps ahead of the students. Of course, that’s the secret. Thanks for your anecdotes – I’ll pass your kind words on to Cliff. That social worker was “with it.” May her kind increase! May your book have a successful launch. Thanks for stopping by to chat this morning, Melodie. Good morning what a great post. I too would tell my children that had eyes behind my head, because I always caught them in the act of mischief. Raising children is on the job training to be withitness. If you don’t have it you will go crazy or get frustrated. My grandchildren say Wella which is grandma in our home, your never tired or frustrated like other parents we see. What’s your secret. I told them your mother and uncle and aunts taught me, I have to keep many steps ahead of you to keep my sanity. If someone has to be frustrated let it be you, that you can’t pull the wool over my eyes. We just laugh. God is good in giving us wisdom and great examples in our lives. I had many. One middle school teacher that I could not befuddle, she never entertained my annoying and ignorant behavior. She could not be moved. She’s the one that I loved the most. How funny. Oh, Gloria, I got a picture of your mischief and your middle school teacher’s wisdom here. Very funny! Obviously she saw your potential and knew you needed guidance. She would love to read your own wise lines: Raising children is on the job training to be withitness. Thanks! Marian, when I read your post the American election popped into my head. What a great example of ineptness! When I was an ESL teacher my Korean students were convinced that I knew Korean because I caught on to what they were saying to each other. I just knew from my teaching experience and from my intuition! They were never really sure they could pull one over on me by speaking their own language. You’re sharp, Elfrieda! Maybe you didn’t know Korean perfectly, especially at first, but you could read non-verbal cues, an art that works in any language. Thanks for sharing your story here. My youngest child is my daughter. She was in high school. She and a bunch of her friends were sitting around my table chatting and eating snacks and what ever food they could get their hands on. I always welcomed her friends in my home. It’s a great way to keep your eye on what’s happening in their world. They were discussing driving. They had all received their drivers license that year and their first cars. Every once and a while I would throw a sentence in on the importance of following the laws of driving and the rules your parents set. Giggles and laughter. I mentioned that if my daughter breaks one of the rules we set for her that we would take her drivers license away and she would not be driving until she was twenty one. All of her friends started ribbing her and laughing. My daughter was clearly embarrassed and in a snotty tone replied; “You know mom, I can always go to the MV and get a duplicate license. I would just tell them I lost mine”. More giggles from the crowd. My answer; “That’s true but where would you get a duplicate car? You know the car you are driving is in my name and that makes it my car. I can sell it any time I want”. “Oh yeah, I forgot about that”. Total laughter and ribbing erupted from every one including me. Is that considered being with it? You bet! Staying 1-2 steps ahead of kids, especially teenagers, is a fine art. Your daughters’ friends were probably drawn to you because you listened and had wise and witty comebacks, which maybe they were missing at home. Thanks, Patricia! I hope other readers enjoy this story as much as I did. Good for you that’s what I told my granddaughter this week. This is my car you have the privilege to drive it as if it were your until you break my rules and it’s over. That happening you will walk to your destinations. I will not take you. The other two were shocked. So far so good. Here’s to Sticking to Your Guns, Grandma! I have always been a fan of “with it” folks. I have to say my father was always with it. In fact, as he grew older, he got more with it. He wanted to try new things, like sushi and flying in a helicopter. He also became more tolerant, completely accepting his grandson’s girlfriend with a mohawk and earrings everywhere. To me a with it person is someone who keeps up to date and is aware of what is happening now. I think you are a very with it person, Marian!! Remember when President George H. W. Bush celebrated his 90th birthday by jumping out of a helicopter with a red-white-blue parachute? I’d say your father is right up there with an adventuresome spirit too. Thanks, Darlene, my with-it blog friend! During your fall fellowship I’ve watched you connect with other like-minded and “with-it” people. What a joy! Thanks for the kind words. As the old cliche goes, It takes one to know one. I’m glad too you’ll look for ways to “notice” today. 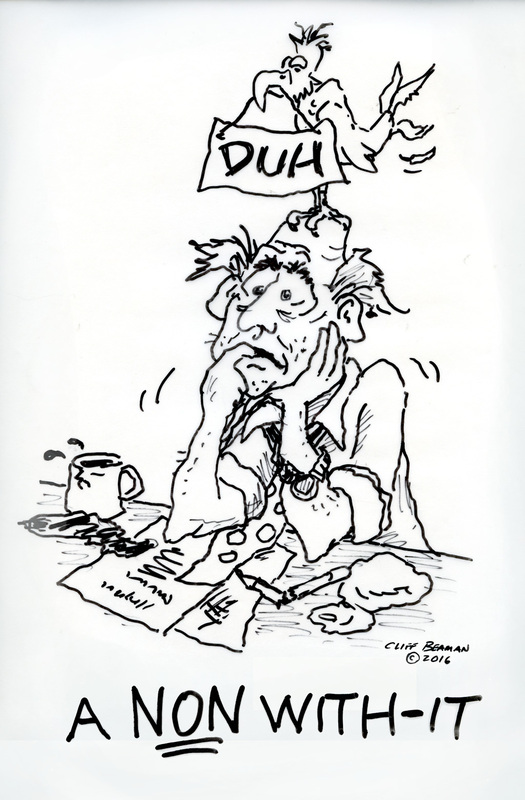 Marian — I enjoyed reading this post and seeing Cliff’s “with it” cartoon! How COOL that you’ve connected with Ruth who was in your grandma’s Sunday school class. It’s been said there are six degrees of separation; I think that connection has even fewer degrees! And in my perspective, your definition of “with it” is spot on! Your prompted me to look up the “six degrees of separation” quote. According to Wikipedia: The saying was “originally set out by Frigyes Karinthy in 1929 and popularized in an eponymous 1990 play written by John Guare.” Because of the information explosion since the 1990a, I too believe the number has narrowed. Just think of the power of Facebook connections, one example. Thanks Marian, I enjoyed this and the snippets of withits in your and the responders comments. Where would we be without the withits? Ruth is a wonderful example of withit and her action of writing to the The Mennonite Magazine – as is your ability to follow through and show her in this post. Your definition of wittiness is superb: “Without prejudice” is a wise addendum. Also, you mentioned the responders comments. I always think they push the value of the blog post to a higher level, especially with clever stories of their own. “Snippets of withits” – ha! Thanks, Susan. Great illustrations for this topic, Marian. I simply love that face painted on the back of the head and that muffin box is a wonderful and thoughtful touch too. Being aware is the perfect 2-word summary of “withitness.” May their tribe increase! I’m glad you enjoyed the illustrations and took the time to comment here too, Fatima. Your star keeps rising and you have to stay in reach – it’s a wild ride you’re on, Jill. I’m happy to follow your progress, both on your blog and Facebook. Your book cover invites readers to turn the page. Today we do the final clean-out on our old house in preparation for closing; then I must get back to writing beyond the weekly blog. Thanks for stopping by on a busy day, Jill. You’re right about that, Marian. It has been wild. I really appreciate your kind words and your support. I’m so happy we connected through WP. Thank you! Tomorrow the bank appraisal happens and we are hoping for a good outcome. Your good wishes mean a lot! I can’t claim to be “with it” myself, but I’m glad you are! Differences make the world go ’round, Rebecca. And remember the fable of the tortoise and the hare – ha! LOL! My kids are convinced I have an eye at the back of my head too. Love live the illusion. We have to get our power from somewhere . . . right? Cliff’s cartoons are always a treat. And I hope that server got a big tip. She deserved it. In my high school world, “with it” meant you were cool, part of the popular crowd, in style, fun to be with. Now “with it” centers on my mental/physical state. I watch my mother-in-law become less with it as she edges toward 101. Ruth Garber Rohrer’s smile is my favorite. Or maybe it’s the face on the back of that fellow’s head. Two eyes in the back of his head. We’ll just imagine your eye–no head shaving necessary. Your mother-in-law Virginia and my Aunt Cecilia are about the same age. When we visited Aunt Ruthie a few weeks ago, we encountered Aunt Ceci being wheeled in the hall by social worker Pearl. She recognized my sister Jan probably because her daughter and Jan are nearly the same age. After a few minutes passed, she grew restless and blurted out to Pearl, “Well, don’t just stand there. Push me around or something!” her way of announcing our visit was over. Her “withitness” is now a more intense version of her personality. 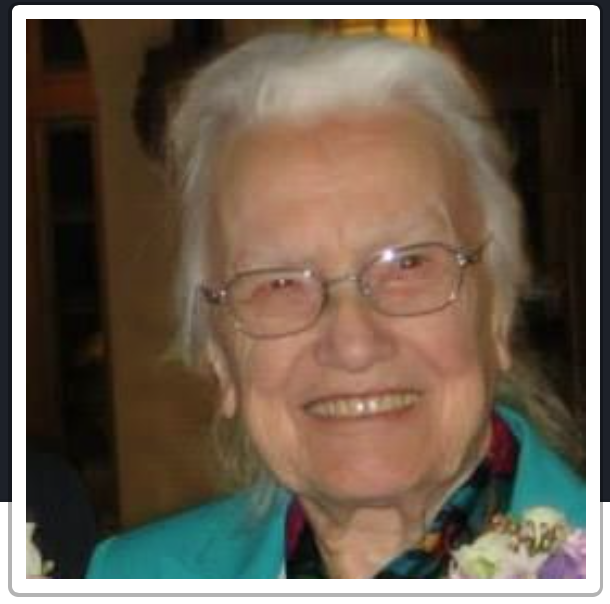 Aunt Ceci passed away this week at age 101 1/2. 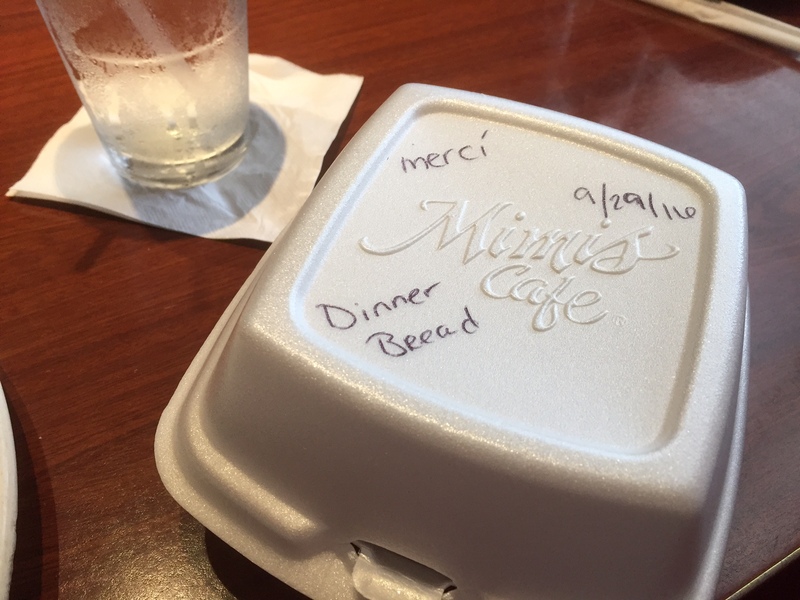 Yes, the server at Mimi’s got a big tip and a verbal acknowledgement. Being a server once, I know how hard the job is, so my tips are usually generous. Thanks for the compliment. I’ll pass it on to Cliff. As long as the electrons and pixels hold together in the cyber-world, people will make connections. Amazing, isn’t it! Reading between the lines, I have to conclude that you are a lot like your cool Auntie Gwen. I imagine her with a sparkly personality and cute clothes. Thanks for your sweet comment, Cherry.